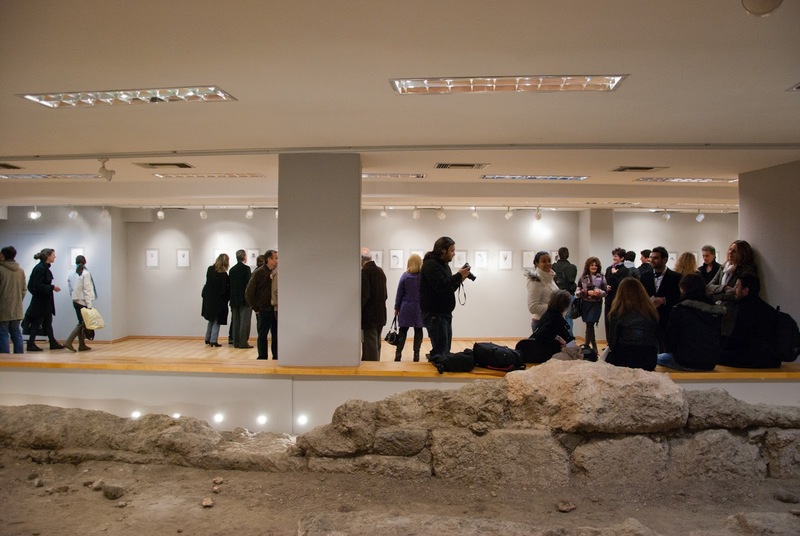 The Municipal 'Alekos Kontopoulos' Gallery, was founded in 1984 and is hosted in the building located in 6-8 Ainianon Street, where the Historical Records of the city are also hosted as well as the Trakeios Library and the Municipal Board Hall. It is part of the Municipality of Lamia and took its name in honour of the painter Alekos Kontopoulos who is from Lamia. 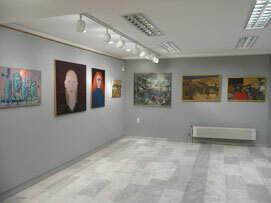 The Municipal Art Gallery collection includes 144 works of art and design made by Alekos Kontopoulos as well as a series of unique ceramic plates painted with acrylic materials. 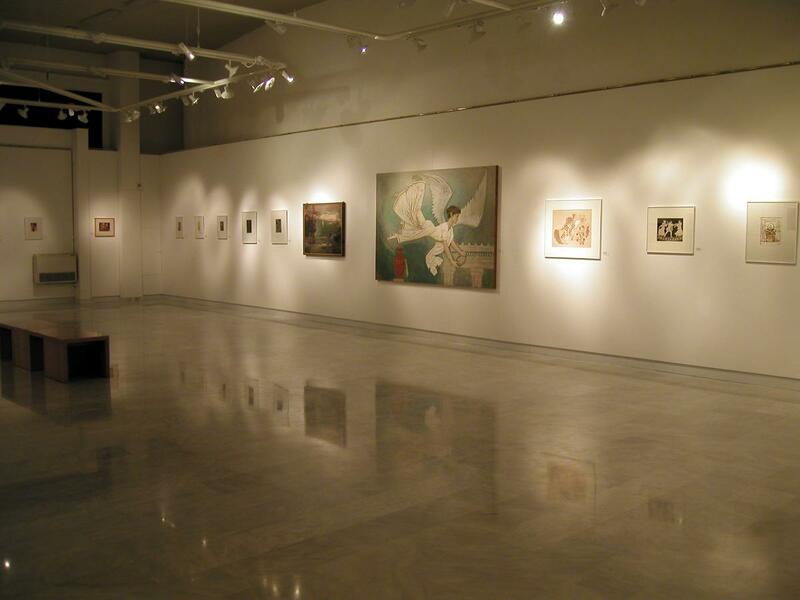 The works of art of the permanent collection are representative of all the artistic phases that the artist went through in his effort to form his own style and the spiritual adventure of the restless artist is seen in his works. An artist that did not settle in commodities of his time but searched for spirituality and honesty in art. 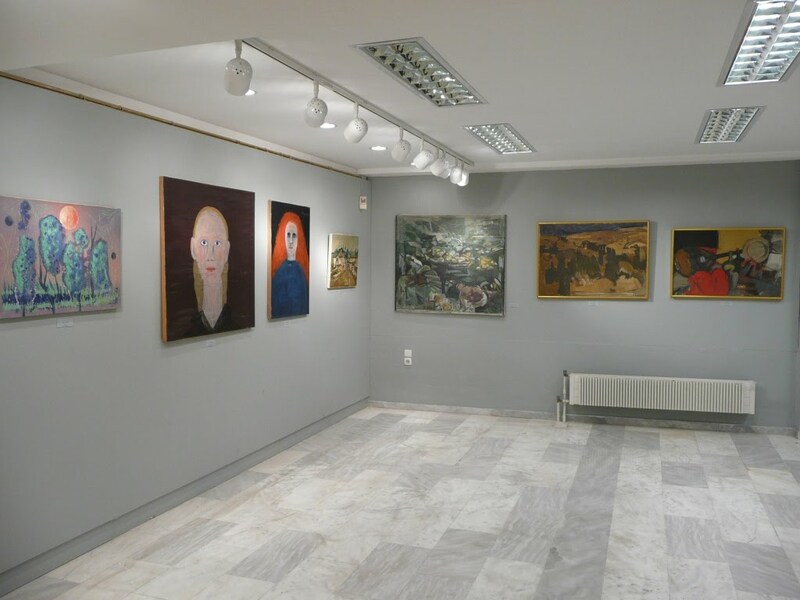 The permanent collection fulfills the moral obligation of the Municipality of Lamia to the memory of the artist who loved and honoured his birth place. 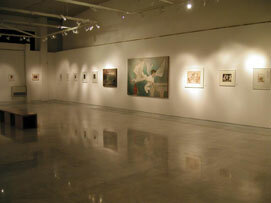 At the same time, it gives the city the privilege to take part in the modern cultural life. The functions of the city are rejuvenated through this offer of art and are strengthened towards achieving 'wellbeing' of the citizens, which is the entelechy of the city and living in a society. 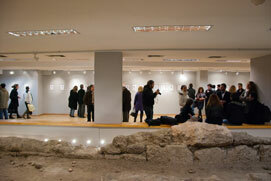 From 1950 Alekos Kontopoulos is acknowledged internationally as one of the pioneers of abstract writing. He has been characterised from art historians as "poet painter" and as 'a painter of the new Humanism' because he tries through art to find the lost balance so as to be led to the springs of the magic that human beings have in their hearts, their deeper nature. Art is not the means to spread and impose theories and ideologies. It is a value on its own and suggests humans creative reverie, to pause garrulous thoughts in front of the senses and the mystery.